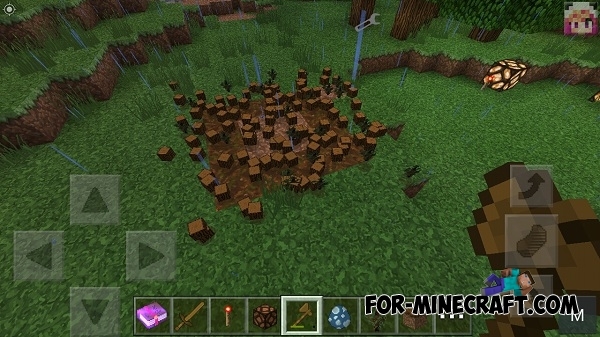 This is TreeCapitator mod for MCPE 0.13.x, which created by Eugene Smirnov for Factorization 0.12, but mod great works on 0.13. 1. Cut down instantly the whole tree. 1. 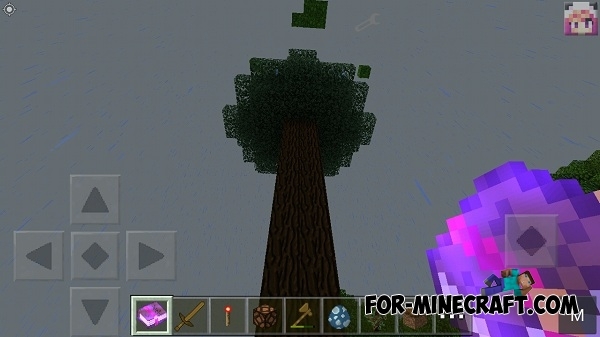 Mod cut down trees area 2X2 (jungle tree) in contrast to other TreeCapitator mods to PE version. 2. Automatically are felled its branches with the tree trunk.